» The Mountain Hardwear Kelvinator Jackets Review: Chilly Temps Await! The Mountain Hardwear Kelvinator Jackets Review: Chilly Temps Await! There isn’t any insulative material quite as warm and comfortable as down. Unfortunately using down has one major downside- it naturally can’t repel moisture. Mountain Hardwear created Q.Shield, an incredible insulation using a combination of down and water-resistant technology. Every outdoor enthusiast that ventures out in chilly temps needs a high quality down-style jacket for warmth. Rather than going with a traditional down puffer, step up your game with the Kelvinator jackets. Not only will them keep you warm but also dry. If you’ve been looking for a new jacket to add to your closet or are tired of having to add a waterproof shell over your current down jacket, take a peek at this line. The Kelvinator jackets are quite popular and can often be found for a reasonable price of around $200 (check this listing for the latest live prices) or less, depending on jacket style and retailer. Even though the Kelvinator jackets aren’t the most high-tech pieces of outerwear, they perform amazingly well at trapping in heat while resisting moisture. Just going by the feature list alone, the Kelvinator line is obviously a true working jacket. There are a lot of reasons to buy a jacket from this line but the numerous benefits can be condensed down to three major selling points. Incredibly Warm, Even in Wet Conditions – The Q.Shield down is certainly impressive. Mountain Hardwear took regular down and treated it with a DWR, or Durable Water Repellency, coating. If you compare a piece of regular down with Q.Shield down you can’t see the difference with your eyes. It performs just as well as regular down in terms of warm but has the major benefit of resisting moisture. Just keep in mind that this isn’t a rain jacket so don’t expect to stay dry in a downpour. Lightweight and Compact – At under 2 lbs you really can’t beat how lightweight yet warm the Kelvinators are. These jackets feel like a feather when you’re wearing them and are great for when you need a down jacket that doesn’t feel cumbersome or too puffy. Active people will like how this jacket compresses down quite small and packs into its own pocket. You can easily throw this jacket into your backpack or daypack. Durable and Versatile – This jacket is made of 20D ripstop nylon which is plenty tough enough to handle a variety of uses. 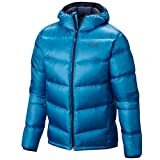 The Q.Shield down is certainly not sensitive to heavy use and is less apt to lose loft than other jackets of its type. Mountain Hardwear has their Kelvinators classified as a backpacking and hiking jacket but don’t let that stop you.These jackets are durable and flexible enough to be used for outdoor sports and strenuous activities. The hood on the hooded models are very streamlined yet warm. It hugs the head and face similar to a mummy-style sleeping bag and stays put even in wind or during activities involving a lot of movement. The zipper is also resistant to wind thanks to the guard.. As an additional benefit, these jackets just plain look great which makes them perfect for wearing casually in fall or winter. Overall the Kelvinator jackets are fairly basic but that in itself is an advantage. 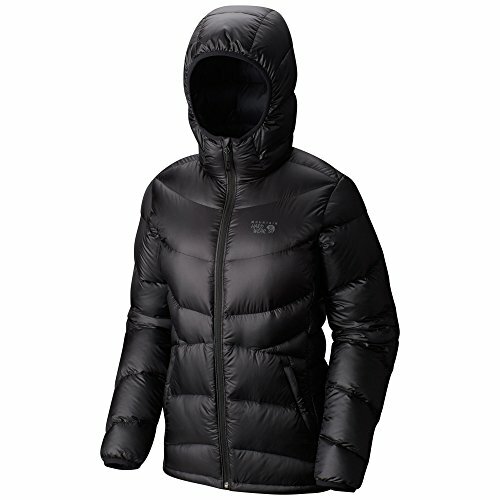 It is truly a high-performance staple piece of outerwear that is well made and reliable. It performs exceptionally well for it’s intended purpose (keeping you warm and dry) while excluding excessive features that only weigh the jacket down. Mountain Hardwear also offers a lifetime guarantee on all their products so if you are unhappy you can easily return. Even the best jackets out there aren’t without their faults, the Kelvinator being no exception. It’s hard to find a bad review on this jacket but if you’re torn between these jackets and another, consider these two disadvantages before buying. Not Warm Enough Solo in Below Freezing Temps – Some people find that the Kelvinator jackets aren’t warm enough in below freezing temperatures to use solo or without a layer under them. 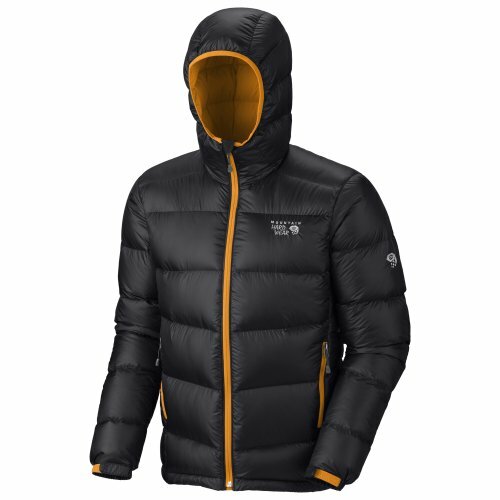 Mountain Hardwear doesn’t specify what temps the jacket can handle as this really comes down to the individual. Younger people are more resistant to cold than older people and men generally handle colder temps better than women. For temps down to the 30Fs and below you may want add a thin fleece layer if you are sensitive to cold. Those who are more “cold hardy” can probably wear this jacket solo with a long-sleeve down to the 20Fs. Sizing is a Bit Tricky – It seems as though many women’s jackets made by outdoor gear companies tend to run on the larger side. Unfortunately the Kelvinator women’s hooded jacket has the same problem. Women often cite that their jacket model is just a little too large and too long. If you plan to layer under the jacket then that may not be a problem but if you plan to use the jacket solo you’ll need to get a size smaller. Very slim women may need to go down two sizes.Oddly enough men tend to find that their jackets can be a bit smaller in size compared to similar style jackets. For solo/casual use you could probably go a size up for comfort. If you plan on layering under it then you should try two sizes up. Proportionally both jackets are built well otherwise- good back coverage and arm length. Many outdoor enthusiasts struggle to find that perfect jacket that they can rely on season after season. When your day’s plans call for a warm, water resistant jacket that is simplistic and without frills, any one of the Kelvinator jackets is sure to please. 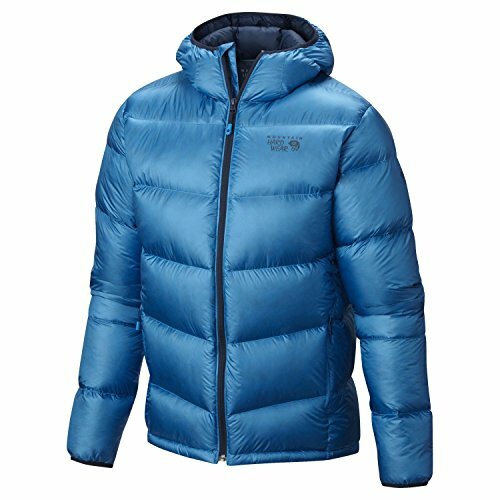 Mountain Hardwear often has sales on these jackets so keep an eye on their website to get an even better deal. Keep in mind the issue with sizing and you will be quite happy.